Mercury, designed by the Human Genome Sequencing Center at Baylor College of Medicine (HGSC), is used as the core variant-calling pipeline for the CHARGE consortium. The Mercury pipeline is a semi-automated and modular set of tools for the analysis of NGS data in clinically focused studies. HGSC designed the pipeline to identify mutations from genomic data, setting the stage for determining the significance of these mutations as a cause of serious disease. 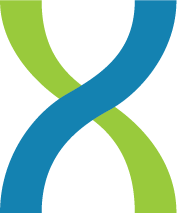 Thanks to HGSC’s work with us, the Mercury pipeline is now freely available to any DNAnexus user. The Mercury pipeline is located in the applets folder of the HGSC_Mercury project. You can find the project, along with everything you need to run the applet, under the ‘Featured Projects’ section on your home page. Login to DNAnexus or create an account today to get started immediately. Results from the Mercury pipeline will be made up of a set of annotated variants from your data sample. You’ll also see all of the biologically significant data that applies to the variants from the Baylor College of Medicine database, using their Cassandra annotation tool. You can easily visualize the mappings and variant calls within our integrated genome browser. Previous Previous: See You at ASHG — Lunch Is on Us!